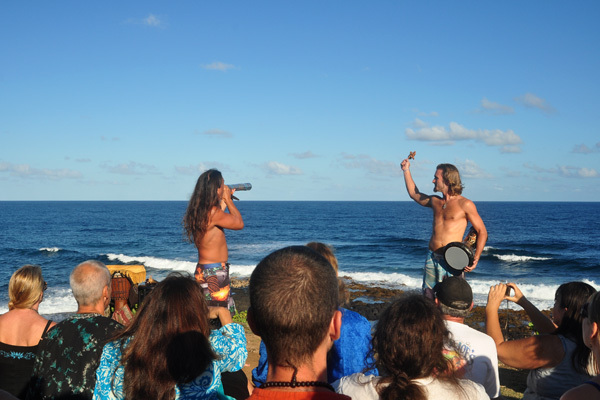 Kauai Hawaii stunning blue sky and beautiful waters played host to an inspiring event complete with breaching whales, healing, shamanic style music played on indigenous instruments and a rainbow crowd at Kealia Beach Outlook on January 7th. 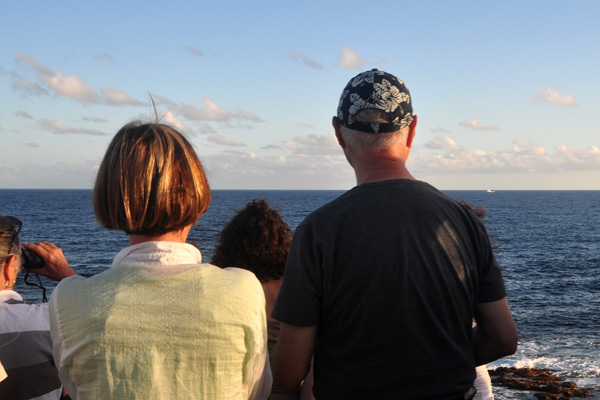 This was far more than whale watching. 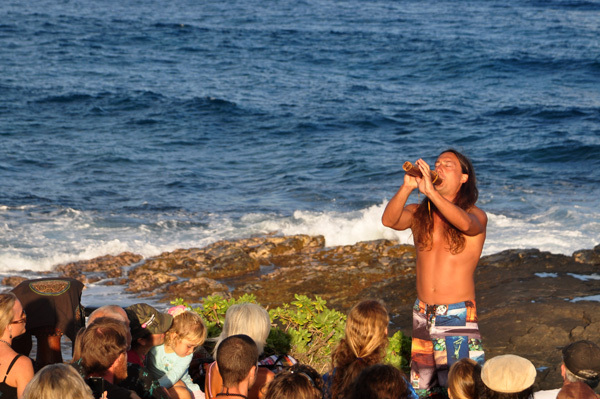 It was a celebration of the whales, an appreciation of our oceans, our earth and our oneness with each other. The visual feast of this event was dramatically enhanced by the sounds. 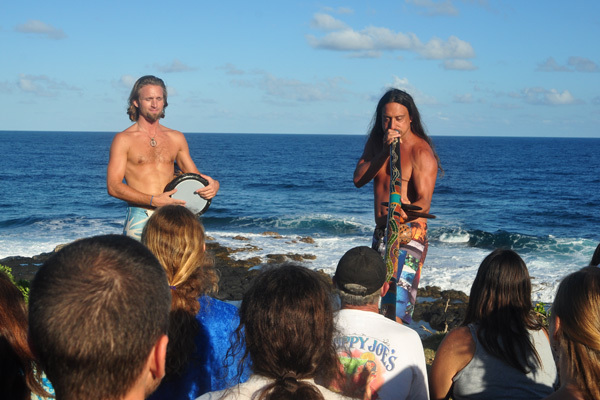 John Dumas and Elijay Ray filled the air and our hearts with healing music. 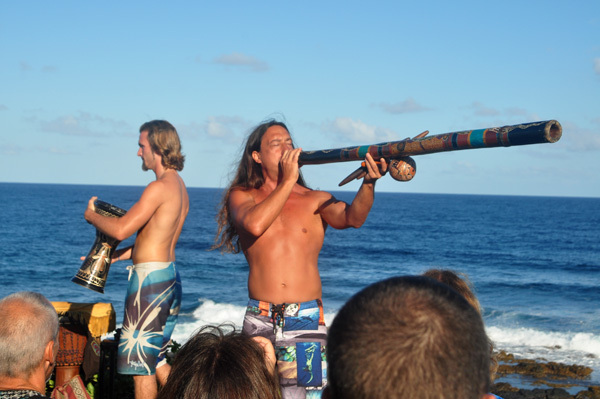 These are two short clips of John Dumas bringing his digeridoo to members of the crowd. Last year, the first time this event was held, the crowd was much smaller so John was able to touch each attendee individually. But even those of us who were not in direct contact certainly felt the vibration and healing waves of his hand crafted instrument. In this second clip, John focuses on a baby in a woman’s lap. That baby was probably already in very good shape but from my perspective it looked particularly calm and happy for the rest of the event. Elijah Ray contributed his voice, a kind of hand drum called a dumbek, and various rattles and shakers…as well as a peruvian stringed instrument called a Charango. 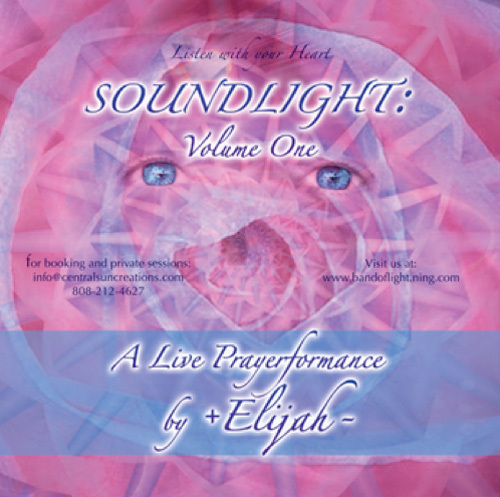 When Elijah does a full concert experience, he plays the acoustic guitar, piano, drums, and setup of loop pedals that allows him to create the kinds of layering and soundscapes that can be heard in the “Soundlight Vol. 1” recording that I link to in his bio below. Part of what made this event so exceptional were the contributions from the crowd. 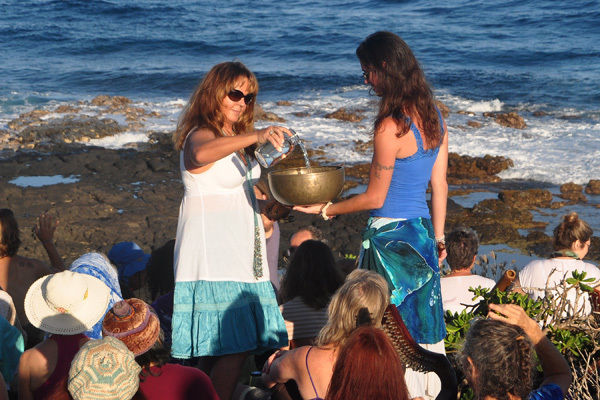 Nina Monasevich and Kalasara Setaysha are on the board of Kohola Leo which translates to Whale Voice. Nina has been an advocate for cetaceans and their ocean home since 1976. 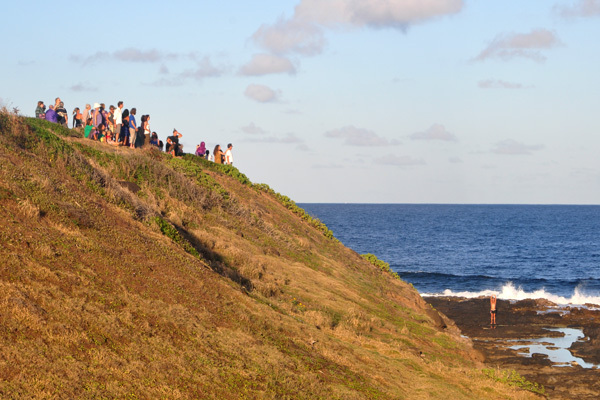 A major concern for the magnificent whales that visit Hawaii is underwater sound pollution that does not harm us nor our visitors but that can be damaging to the sound sensitive whales. 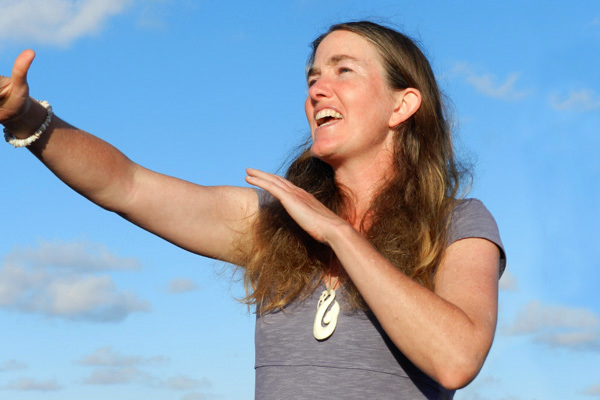 Koholo Leo is striving to increase sound protected areas for the whales. The Ocean Noise Coalition provides information about this issue. 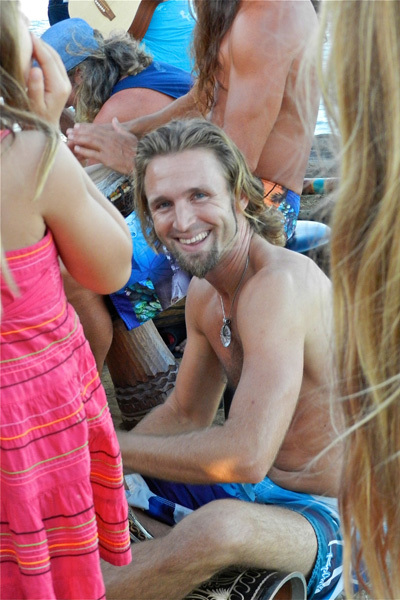 Kelly Kelsey, who took a leadership role in organizing this event is passionate about Kohola Leo’s mission. 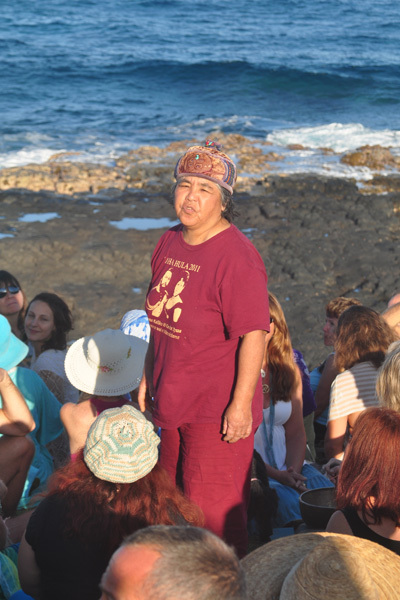 The theme of the event was that we are all one with the ocean, the whales, the earth, the sky and each other. 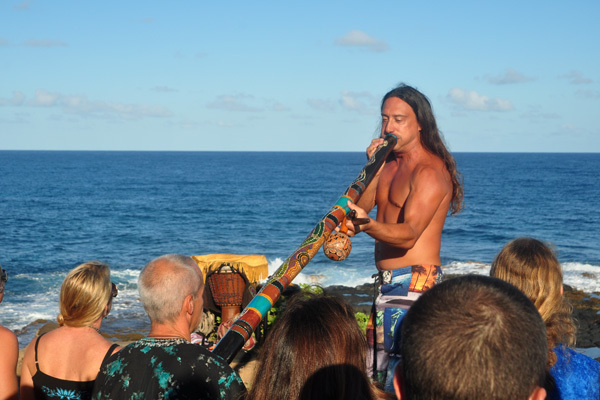 The opening ceremony and the digeridoo music addressed the native American four directions and like Hawaii, the crowd represented a rainbow of the major tribes of man. The hand crafted Heart Flute of the Four Winds is one that produces four resonating sounds that open the heart space while honoring the four directions. 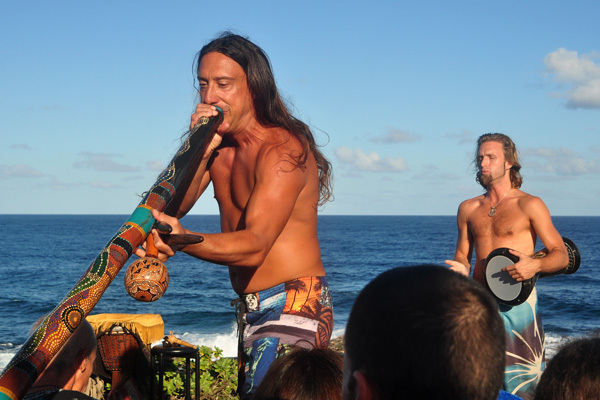 Both John Dumas and Elijah Ray produce shamanic sound using indigenous instruments. 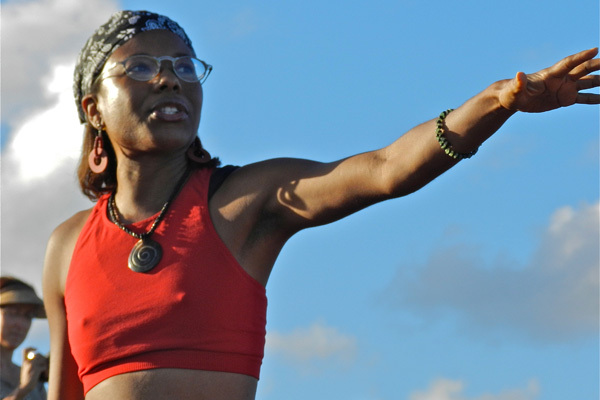 “There is a connection to the earth and to the music and the feelings that get uncovered when we connect to the earths energies.” says Elijah. “It is fun interacting with the audience. The energy is very positive uplifting kind of music, connecting people to their full potential.” adds John. John Dumas, M.S. is an artist, musician, inspirational teacher and pioneer in sound healing. Healing through sound is the culmination of John’s educational background in the fine arts, Psychology and study of indigenous cultures. 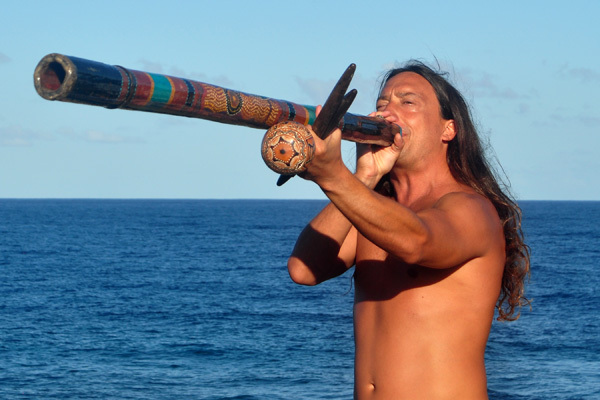 While living in Sedona, Arizona, John was guided by Spirit to create and play the didgeridoo, an instrument used in sacred ceremonies by the (ab-original) people of Australia for over 50,000 years. 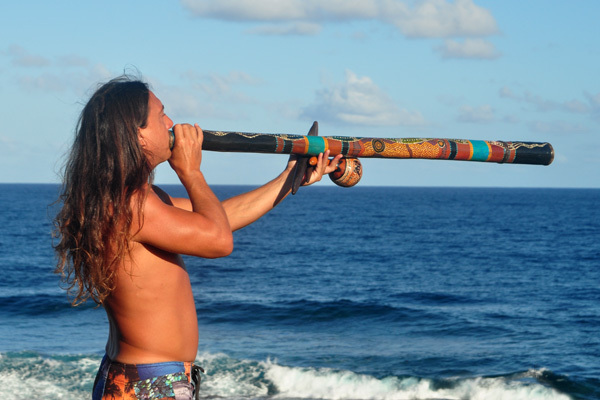 The didgeridoo produces a unique vibratory resonance that mimics the sounds of nature, awakening our primordial essence. 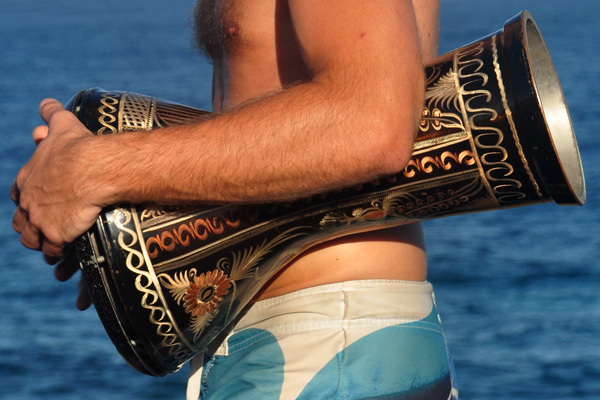 When played over the body, it is capable of unlocking cellular memory and balancing the rhythmic flow of the charkas. The didgeridoo can be made of many natural materials – John prefers the century plant (Agave Americana) cactus. This plant takes approximately 35 years to mature and in one season will produce a shaft shooting up some 40 feet in height with a stock of up to 6 inches in diameter at the base. The cactus then dies and leaves a towering stalk – perfect for making didgeridoos. 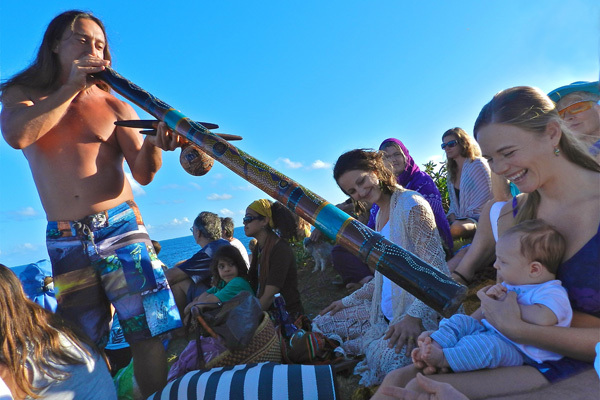 John has developed a unique sound therapy/healing ceremony that is titled “Shamanic Journey into Dreamtime.” This voyage into the dreamtime is an experiential interactive sound therapy that facilitates the healing of our mind, body and spirit. 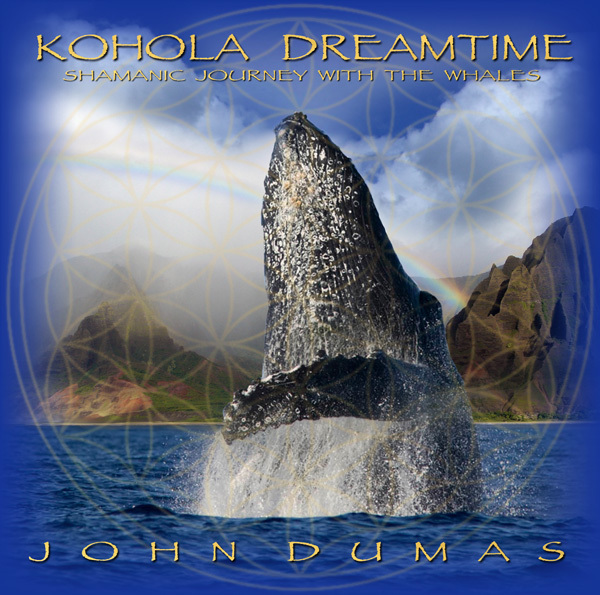 With the intention of love and compassion, John opens the doorway into the dreamtime, an altered state of time and space, producing awakened dreaming. 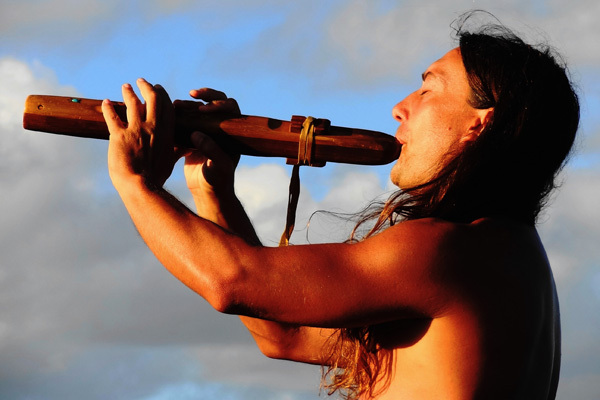 The Native American flute has also played an important role in John’s healing work. Sedona is a flute player’s dream, where there are numerous canyons with ancient cave dwellings. It was here that John first heard the live sound of the Native flute echoing through the canyon walls, that later inspired him to make and play his own. 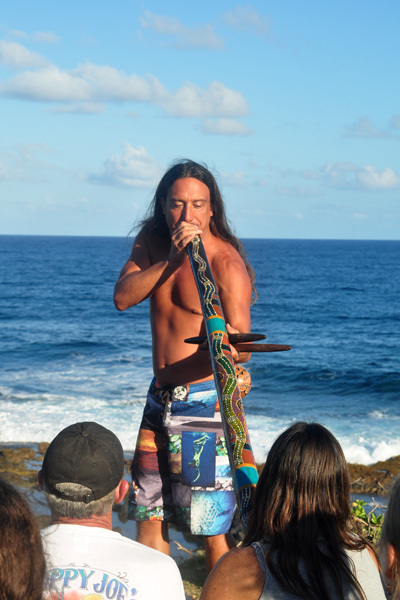 After a vision quest in the mountains of Virginia, John started creating multiple chambered flutes, The ‘Heart Flute of the Four Winds’ is one that produces four resonating chambers that opens the heart space while honoring the four directions. John’s many passions and talents have led him to create hand-made, one-of-a-kind, musical instruments, emitting profoundly beautiful tones and intense vibrations. John performs concerts and leads workshops traveling internationally with his unique handcrafted flutes and didgeridoos. 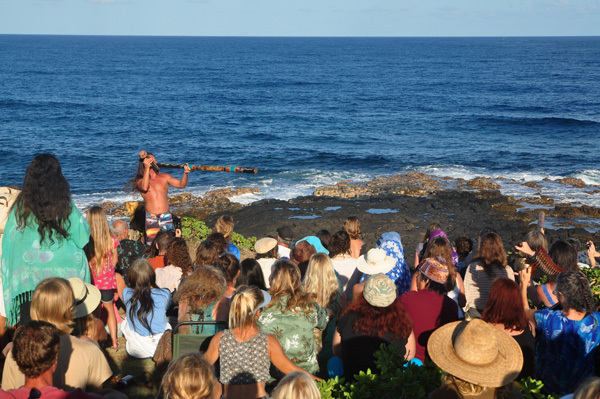 He lives on Kauai, Hawaii where he creates his one of a kind instruments, performs concerts, and facilitates sound healing ceremonies with groups and in private sessions. +Elijah- (aka “Elijah Ray”) is the founder and co-creator of the Band of Light , and has over a decade of experience as a performer, healer, teacher, and recording artist. He has shared his inspiring and transformational music from up and down the West Coast to Hawaii, New York, Amsterdam, and Australia, New Zealand and Peru. 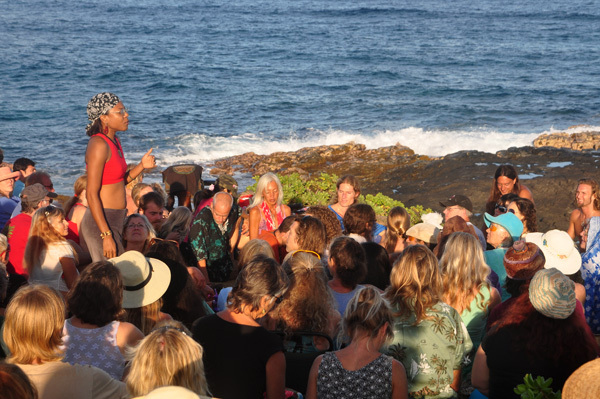 Currently based on the Island of Kauai, +Elijah- hosts ongoing, community empowering concert experiences called the “Band of Light +E-xperience”, which serves as a vehicle for consciousness co-creation, in the realms of Music, Dance, Art, and as an open forum for sustainable solutions and community empowerment. At a Band of Light experience, +Elijah- invites us all to realize that “we are all in the band” as he weaves together a musical tapestry of co-creation and participation, that blends the worlds of concert, workshop, and spiritual revival all in to one! 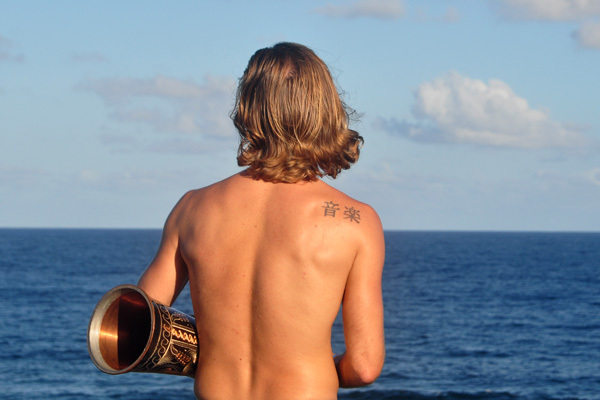 His Love for the Earth’s Oceans has led him to work and play with the Whales and Dolphins each year, recording their incredible songs, and weaving them into the Band of Light music. +Elijah-‘s first album release, “The Preamble”, has crossed the oceans into over 22 countries. Also celebrated worldwide is his creation of the soundtrack for “The Indigo Evolution”, a documentary released by Internationally acclaimed author James Twyman. +Elijah- was also a featured “Indigo” in the film, sharing his spiritual insights along with such luminaries as Doreen Virtue, Neal Donald Walsh, and Dr. Matsuro Emoto. This album cover links to Elijah’s website and a 38 minute audio clip from this album. Elijah does concerts and recordings in several styles. This one is “shamangelic” a style of work and sound that references a sound that brings in the higher frequency of the heavens – Elijah’s work builds a bridge between heaven and earth.